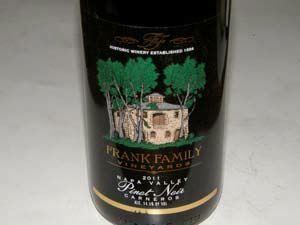 Rich Frank was a Disney executive who started traveling to Napa Valley for short vacations. 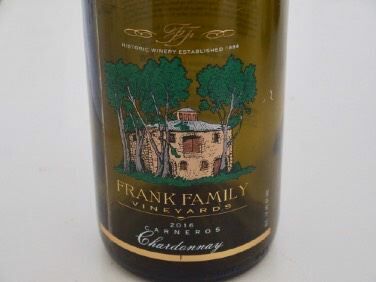 In 1990, he bought a home in Rutherford and two years later, with his wife Connie, and friend and partner, Koerner Rombauer, Frank acquired the historic Larkmead Winery in Calistoga. In 2007, Rich and Connie Frank bought out Koerner's partnership. The winery is located on Larkmead Lane in Calistoga. It was first constructed as Larkmead Winery in 1884 (the third oldest in the state) and was refinished with native sandstone from the nearby hills in 1906. The massive stone edifice is considered one of the finest structures in Napa Valley and appears on the National Registry of Historical Places. Lily Hitchcock Coit, a colorful figure of early California, originated the winery's name after thousands of wild meadowlarks inhabited the open fields in the area. The winemaker since 2003 has been Todd Graff. He has worked in wineries in Europe, Australia and California including Sonoma Creek Winery, Codorniu (now Artesa), and Schramsberg. 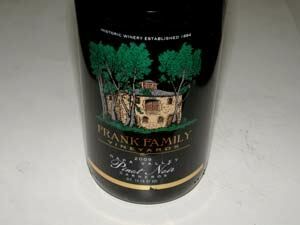 His experience with sparkling wines has led to a collection of outstanding Frank Family sparkling wines. The winery has a well-deserved reputation for its Cabernet Sauvignon. 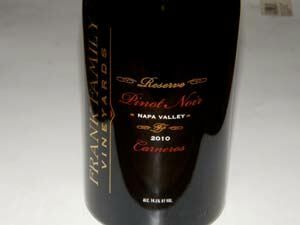 A Pinot Noir and Reserve Pinot Noir has been produced since the 2007 vintage. Sparkling wines are also offered in the traditional French methode champenoise. The winery farms more than 250 acres of vineyards in Calistoga, Capell Valley, Carneros and Rutherford. The tasting room was renovated in 2008 and is housed in a 1930s Craftsman home. In 2010 and 2011, the tasting room won the reader's choice for Best Tasting Room in Napa in the San Francisco Chronicle. This is a reflection of the winery's motto: "You'll never have better wine...or a better time." The tasting room is open daily, offers picnic grounds and a scenic view. The winery was awarded "Winery of the Year" by Connoisseurs' Guide to California Wine in its "Best of 2012" December issue.